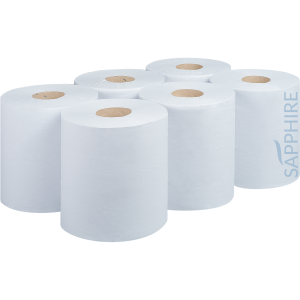 Sapphire White Flat Sheet Centrefeed are manufactured following CHSA guidelines within the UK using high quality Fourstones recycled tissue paper. 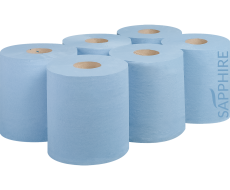 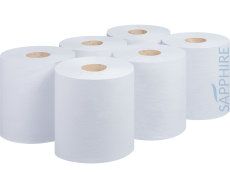 Our centrefeed are available in a wide variety of plys and sizes, each being absorbent and strong, an ideal product for almost any working environment. 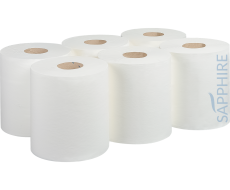 Within each strong clear polythene pack, each roll is made with easy tear perforations and a marked removable core.